Hear “Let It Go,” the Academy Award nominee for Best Original Song, in 25 different languages and see how fans in other countries around the world have experienced Elsa unleashing her powers. Invesco acquires 5.01% of Disneyland Paris. The independent investment management company Invesco Ltd has announced that since the 9 January 2014 it now owns 5.01% of Euro Disney S.C.A. the company that owns and operates Disneyland Paris in Marne-la-Vallée, France. Invesco’s purchase of 1,953,151 shares was the result of acquisitions on the open market, and the crossing of the 5% threshold now gives Invesco capital and voting rights of Euro Disney S.C.A. The shareholding of Disneyland Paris now breaks down to 39.78% held by The Walt Disney Company, 10% by Saudi Prince Alwaleed, 5.01% by Invesco Ltd and 45.21% by other shareholders. 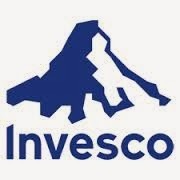 Invesco which is incorporated in Bermuda and headquartered in Atlanta, Georgia, USA, reported total assets under management of $778.7 billion at the end of December 2013. This purchase by Invesco will make the Euro Disney Annual General Meeting currently scheduled to be held at CinéMagique in the Walt Disney Studios Park on Wednesday 12 February 2014 a very interesting gathering of Euro Disney shareholders. Euro Disney S.C.A. (EDL.PA) shares closed today (13 January 2014) at €4.57 up €0.07 a change of 1.56 %. The Royal Albert Hall will host the exclusive UK Premiere of Pixar in Concert, celebrating all thirteen of the studio’s beloved feature films in a unique and unmissable film and live orchestra event on Saturday 22 February at 2:00 PM and 7:00 PM. This live concert features, for the first time ever in the UK, a compilation of the music and imagery from these classic animations. 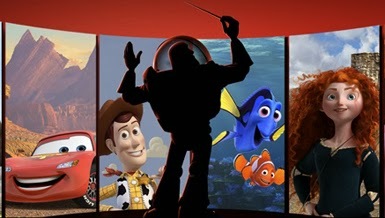 Fans, old and new alike, can now experience the joy of Pixar’s most popular characters from films such as the Toy Story trilogy, Cars, Finding Nemo, Wall-E and The Incredibles as some of their most visually stunning film clips are shown in high definition on the big screen whilst their memorable scores are performed live on stage by the Royal Philharmonic Concert Orchestra. A treat for audiences of all ages, this concert presents the collaborative relationship between music and storytelling in animation and how these stirring scores contribute to the stories unfolding on screen. Julien Kauffmann, Vice-President Revenue Management & Analytics and Jean-Christophe Gandon, Vice-President Marketing will present the next Euro Disney S.C.A. Shareholders Club Conference on the Marketing & Sales Strategy of the Disneyland® Paris. The conference will take place on Monday, January 27th, 2014, from 6:00 p.m to 7:30 p.m, at Disney’s Newport Bay Club® Convention Center at Disneyland® Paris. To attend this meeting, the online registration is mandatory and should be done no later than January 23th, 2014, from your Personal Space available in the Shareholders Club Section of the website. Next summer, Disneyland Paris will unveil a major new attraction and mini-land inspired by the Oscar-winning Disney●Pixar film Ratatouille. 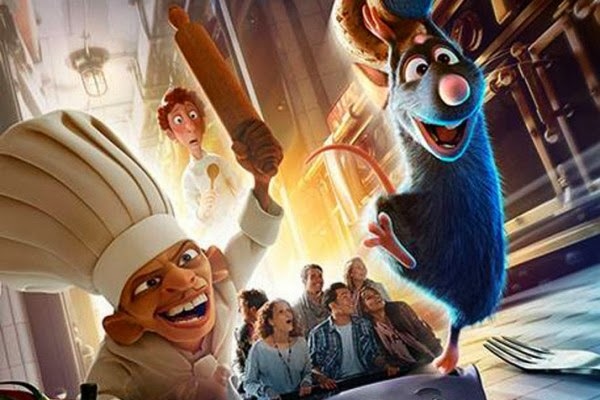 The film, directed by Brad Bird, tells the tale of Rémy, a young rat who has amazing talents in the kitchen and dreams of one day becoming a great chef. This leads to a fun but perilous journey that eventually lands him as the head chef of one of the most famous restaurants in Paris. Now Rémy has arrived at Walt Disney Studios Park to share his culinary delights and crazy adventures with the entire family. On the attraction Ratatouille: L’Aventure Totalement Toquée de Rémy which is scheduled to open during the Summer of 2014, guests will shrink down to the size of a rat and join Rémy and his friends as they scurry through the kitchen, dining room, and walls of Gusteau’s famous Parisian restaurant, all the while trying to avoid the nemesis from the film, Chef Skinner. This first of its kind Disney attraction will immerse guests into an animated world like never before as they experience what it’s like to be a rat in a human sized world. After Crush’s Coaster Cars Race Rally and Toy Story Playland, Ratatouille will be the fourth attraction at the Walt Disney Studios Park inspired by a Disney●Pixar film. Disneyland Paris will once again combine its narration skills with state-of-the-art technology to offer the best possible experience.